Offering you a complete choice of products which include bag filter, low ratio bag filter and high ratio bag filter. 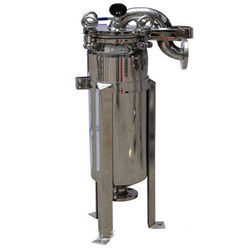 The Bag Filter manufactured by us are designed and developed for high filtration performance. Manufactured using the high-grade raw material, these provide filtration solution for a broad variety of fluid application. The filter system is essential for large volumes of high-velocity liquids. The bleeding arrangement provided at the inlet of bag filter for the safety of the bags. Bag filter type of PAEA is a Low Ratio Bag Filter adaptable to a large number of application. The industrial bag filters are build up of several rectangular chambers each provided with isolation dampers. 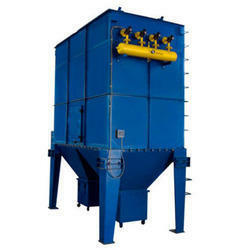 Each chamber is provided with a robust shaking gear that is totally accessible from outside. 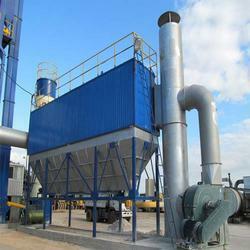 High Ratio Bag Filter is cyclone bag filter designed for collection of all kinds of dry dust, especially fibrous dust. The combination of cyclone and bag filter enables them to handle a very large dust burden, hence they are also well suited for pneumatic conveying and industrial vacuum cleaning Plants.